Hopkins & Allen Top Break Hammerless Revolver. Unusual in that the safety located at the top of the backstrap. Revolver works fine. Nice grips. 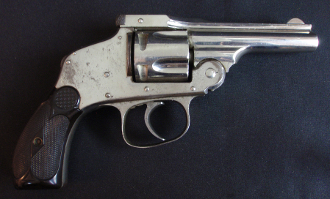 Revolver retains 90% original finish. Neat gun.